MOSCOW (AP) — Five alleged Russian cybercriminals have been arrested across Europe in American-initiated operations in the past nine months. Here’s a look at who they are, how they were caught and what they’re accused of doing. — Pyotr Levashov, 36, is accused by U.S. prosecutors of being “one of the world’s most notorious criminal spammers.” Law enforcement and security researchers have linked Levashov, via his alias “Peter Severa,” to a series of powerful botnets — networks of hijacked computers carrying names like Storm, Waledec and Kelihos and capable of pumping out more than a billion emails a day. He was arrested in April when the AirBNB apartment he was sharing with his family in Barcelona was raided by police. He is fighting extradition; his wife says he’s innocent. — Evgeny Nikulin, 29, is accused by U.S. prosecutors of penetrating computers at Silicon Valley firms including LinkedIn and Dropbox in 2012, around the time both companies reported massive breaches affecting tens of millions of users. A Lamborghini-lover who ran a popular Instagram account devoted to sports cars, Nikulin socialized with children of the Kremlin’s elite, including the daughter of Russian Defense Minister Sergei Shoigu. He was arrested at a Prague restaurant in October and is currently appealing the decision of a Czech court to OK his extradition. Russia has lodged a counter-extradition request in a bid to bring him home. 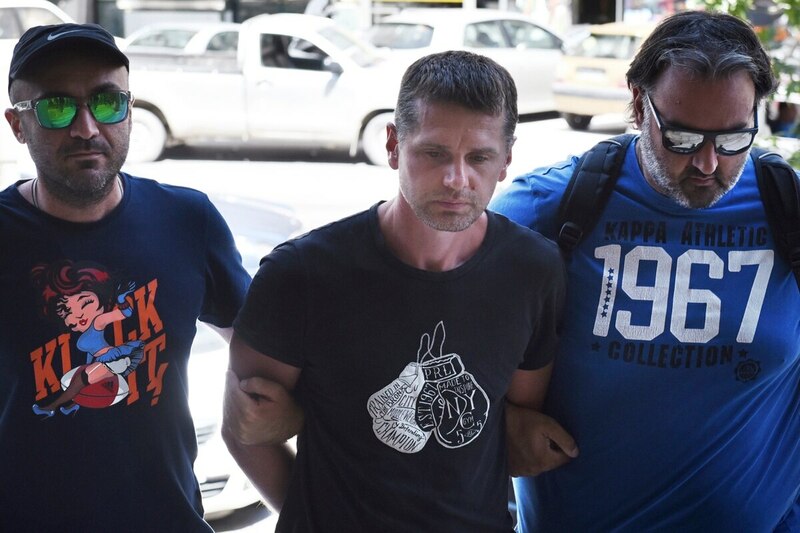 — Alexander Vinnik, 38, is accused by U.S. prosecutors of running of major bitcoin exchange that “helped to launder criminal proceeds from syndicates around the world.” He was arrested earlier this week on the grounds of his hotel near Ouranoupolis in northern Greece — an area popular with Russian tourists. Vinnik, who was on vacation with his wife and two young children, was distracted by an innocuous question from a policeman while a second officer came up from the side and snatched his phone. The exchange he’s alleged to have run, BTC-e, is currently out of commission. — Stanislav Lisov, 31, is accused by U.S. prosecutors of developing malicious software called NeverQuest which stole information on banking clients and financial websites and caused almost $1 million in losses in the United States. Lisov, from the small resort town of Taganrog in southern Russia, was detained at Barcelona airport in January while in the middle of a European honeymoon. He has said he was formerly employed by IT company Ogetto that did work for the Russian government. Lisov had an extradition hearing in Madrid last week and is awaiting a ruling.